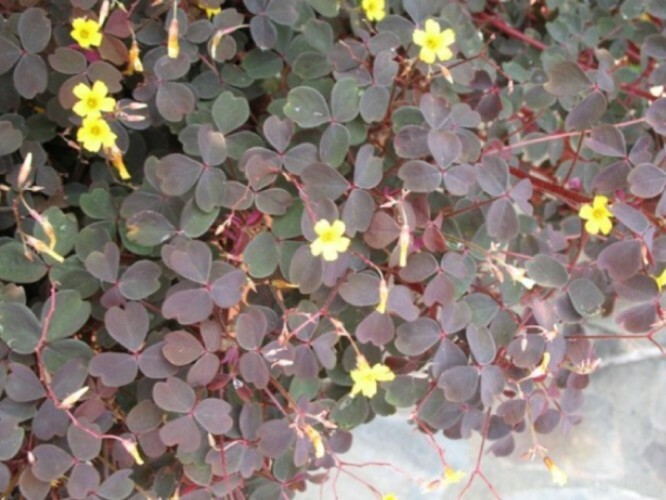 Comments: This low mounding, trailing oxalis has wine colored foliage tinged with reddish tones. It has yellow flowers for a long time from spring into autumn where it is grown as an annual. It flowers almost constantly in zones 10 & 11 where it is evergreen perennial.